Total Sales Volume for the month of February 2010 is 267% over the volume from February 2009. Units Sold are up 165% from February 2010 compared to February 2009. YTD Volume is up 228% compared to the same period in 2009. Fractional/Interval Sales for the month of February 2010 consisted of 55% of the transactions. The Mountain Area produced 52% of all the Volume sold since the beginning of the year 2010. Price range highlights – 29% of volume were sales between $1 – 1.5 million / 34% of volume were priced over $3 million. Whistler Village Townhomes: There are currently 5 under contract and 2 recent sold units. In 2009, there was 1 transaction. Steamboat’s Single Family Homes: There were roughly 40 single family homes sold in all of 2009. There are roughly 44 “pending” or “sold” single family home so far this year. Pending Homes in all Price Ranges: Prices of current “pending” homes range from $168,000 to $5,495,000 and everything in between. Thus, we are seeing a consistent increase in transactions in all price ranges. Foreclosed and Distressed Sales: Foreclosures continue to increase but the absorption rate of these properties is increasing as well. In other words, people are buying these deals as they come on the market. This is a positive sign and will help stabilize prices. Bank of America Announces Great Plan. Some other good news is that Bank of American Corporation has initiated the first ever “principal reduction plan” for defaulting home owners. Over 25% of home owner are underwater in their mortgages. What B of A is doing is allowing a borrower to forgive up to 30% of their mortgage balance. This should ease the rate of defaulting homeowners and further help stabilize the market. An Increase in Second Home Buying. With large decreases in prices of second homes, many are seeing these cuts as opportunities. 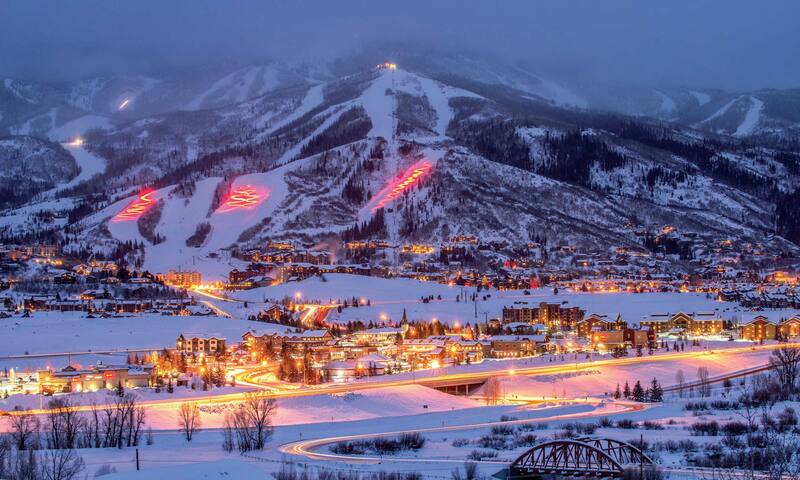 Much of the real estate in Steamboat are used as second homes. And these too have seen a large decline in values. But like the information above, many second home buyers are beginning to re-enter the market and take advantage of these prices. Click here to read about the top 10 list. And for those looking to take advantage of the home buyers tax credit, there are some important deadline approaching. Spring is nearing here in Steamboat Spring. The snow has started to melt on the south-facing hills and the temperatures are creeping up. Please call or email your real estate or Steamboat Springs questions. Hope you have a great spring.